Following on from 2018’s successful 25th anniversary remixed edition of the album that put Jadis on the map, 1992’s More Than Meets The Eye, affable bandleader Gary Chandler has continued the momentum built by that project, and the well-received tour in support of the album, with the release of the Roman numerically styled Medium Rare II. Following a similar format to More Than Meets The Eye 25, and indeed the original Medium Rare album from 2001, Gary has spent some time in the studio and come out with 11 tracks, described as a collection of remixed, reworked, live versions, unreleased new tracks and a couple of covers, all put together in a desirable looking Digipak CD case containing an 11 page booklet with background information about the songs, and collages of photos, album covers and artwork old and new. A little bit of history: Jadis supported IQ on tour in 1986 and their first self-titled limited release album was produced by Steve ‘Marillion’ Rothery in 1989, therefore the band were added to the burgeoning ‘neo-prog’ roster of the time. 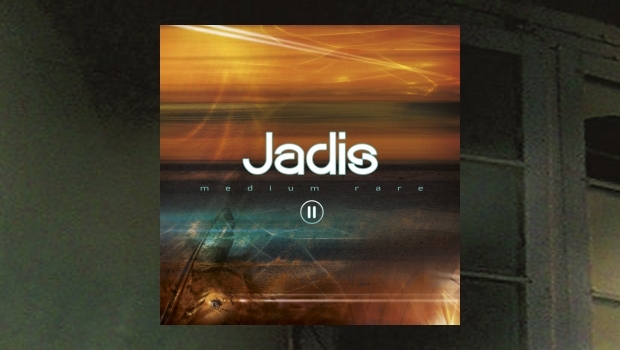 Music press labelling aside, Jadis are certainly towards the mainstream end of progressive rock, and with uplifting and melodic solos Gary Chandler’s signature Stratocaster guitar sound has always been a feature of Jadis’ music. This latest release features Chandler with long-time members, percussionist and drummer Stephen Christey, keyboardist Martin Orford and bassist Andy Marlow, all of whom are in the current touring line up. As this is a compilation of sorts there are some older tracks, so the remixed No Sacrifice, What Kind Of Reason, Standing Still and the live version of Pink Floyd’s Comfortably Numb feature a former member of Jadis, ex IQ man John Jowitt on bass guitar. The album kicks off with an atmospheric build-up of sounds, which accompanied the band onto the stage for their 2018 live gigs, into There’s A Light from the Photoplay album. Those that attended the gigs may be able to work out which night this was taken from, as the band are not telling! Tracks from Photoplay feature twice more on this album, with the title track also getting a reworking, allowing the current band to add some more segments to it, and a remixed version of Standing Still which builds up from a rhythmic verse before the guitar and Hammond organ is unleashed in the chorus. Truth From The Lies is one of the previously unreleased tracks, written around the same time of the last Jadis studio album, 2017’s No Fear of Looking Down. The vocal harmonies between Gary and Martin Orford are unmistakably Jadis although the 12-string guitar is a new feature. 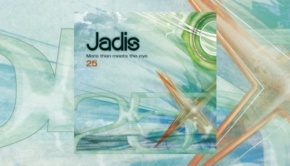 Animated is also previously unreleased and differs from the more traditional Jadis sound with its synthesized chimes masking the guitar before a traditional prog style guitar motif is allowed to cut through. Your Own Special Way, which I’m sure you don’t need me to tell you is a cover of the Genesis song from Wind & Wuthering, was originally played by Martin and Gary as part of their acoustic house concert sets. This studio version has been boosted with the addition of bass and drums, and 12-string guitar again, and all three add much more depth. The piano and synth voices mix with the harmonies and a touch of electric guitar is added towards the end. The second cover version featured, Comfortably Numb is described by Gary as “our take” on the Pink Floyd classic. Remastered from the 2001 Alive Outside album, the solo is as you would imagine the centrepiece of this and closes the album with over two minutes of Chandler’s virtuoso guitar playing. Medium Rare II features three live tracks in total from the 2018 tour which saw Jadis play the Netherlands, Germany and both ends of England, and this album was scheduled for release around some new live dates which unfortunately had to be postponed due to an injury to Gary Chandler’s wrist. If you can I urge you to catch this amazing group of four musicians performing live in the future – and pick up a copy of the album from the merchandise stand or the band’s website, you won’t be disappointed.